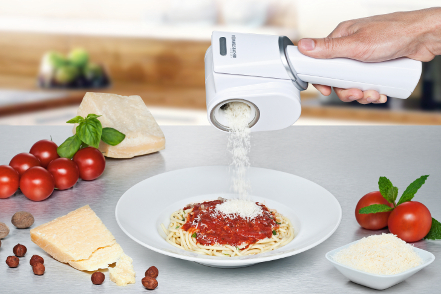 Whether multi grater, tin opener, electric knife or spice and coffee grinder – our family of electric kitchen aids cares for easy working and more pleasure in cooking in the kitchen. Sometimes you also like to eat a good preserve. 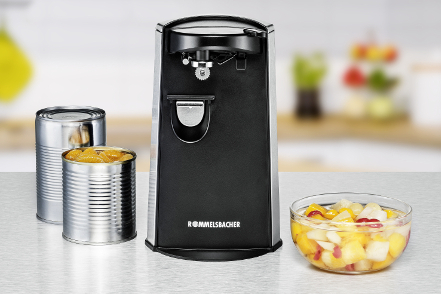 Whether tomatoes, corn or animal feed – this appliance opens tins quickly and safely without leaving sharp edges at the lid. 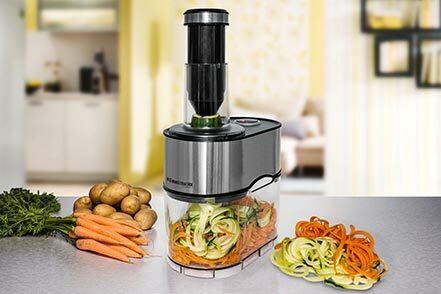 Simple handling is guaranteed by sturdy cutting blades of stainless steel, the automatic start-stop-function as well as the magnetic lid holder. Our tin opener offers an integrated bottle opener and a knife sharpener as practical accessory. 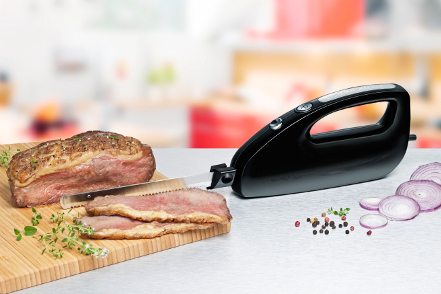 ROMMELSBACHER electric knives cut effortlessly through most different food. Thanks to 2 pairs of interchangeable blades (fine and coarse) this works for cream cakes as well as for wholegrain bread. Also fried meat, like rolled roast or Christmas goose are cut into bite sized bits quickly. And raw meat can even be but perfectly and fine in pre-frozen condition. 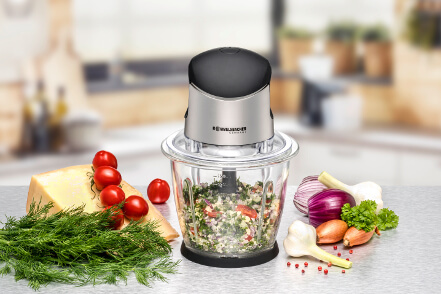 A small multi-talent for your kitchen, no matter if coffee, spices or pesto – you can grind everything in the two different grinding containers. With the two-winged blade you can pulverise sugar into power and pestle caraway & Co. 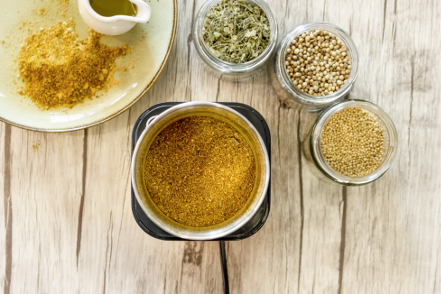 In the container with the four-winged blade you can also process humid foods to pesto, dips and creams. The subsequent cleaning in the dishwasher is the “cherry on top”.